So you’re having troubles with your new Pixel order from Google? Dang. Well, I hate to break this to you, but it has been this way for years. Looking back through our post archives, Google has had issues when it comes to meeting demand for its flagship devices, both Pixel and Nexus. Please, allow me to provide a brief history to you. Let’s not get too crazy and just go back to the Nexus 5X and Nexus 6P. On the morning of September 29, 2015, Google announced two Nexus devices (5X and 6P). Pre-orders went live later that morning, but at the time, there was no concrete shipping estimation. Weeks went by and finally, Google said 5X orders were shipping out. Not too long after, folks who purchased the 6P saw their credit cards getting charged, figuring they would have their device in-hand soon enough. For some, maybe even many, that wasn’t the case. Hmm, so people who ordered the phone at a later date were receiving their phone before original pre-orderers? That sounds quite familiar, doesn’t it? In fact, that’s what many people are experiencing right now with the Pixel 2 and Pixel 2 XL. Threads on reddit and XDA are filled with these stories. One individual pre-ordered a Pixel 2 XL on October 4, then another on October 24. Guess which one shipped first? Yep, the October 24 order. Let’s look at the original Pixel and Pixel XL now. Announced on October 4, 2016 with pre-order up that same day, the phones, particularly the Pixel XL, were selling out fast. We were constantly doing updates on Google Store availability, and consistently, the Pixel XL in all configurations was not available for purchase. On October 26, 2016, Google support staff stated orders were running 3 weeks behind. Orders that were expected by late October were now scheduled for mid to late November, and of course, buyers were pissed. Even well into 2017 we were still discussing inventory of the Pixel phones. This past February, Kellen wrote an update on his Pixel experience. Of course, he was still loving it, but what stood out to me were the people in the comments who said they were still awaiting their Pixel order from November and December of the previous year. One person wrote, “Ordered mine on Black Friday. Current ETA is 2/10.” From what I can tell just by doing a quick search online, he definitely wasn’t the only person having an issue still. You would think by now Google would have figured out how to manage inventory. Anything they do for the last few years is always out of stock, poorly planned and so on. Great products but no logistics. It’s beyond puzzling and entering bizarre. All this deep learning and AI and Google can’t figure it out? He’s absolutely right. Each year, we expect Google to have figured this whole selling and shipping thing out, but they don’t seem quite capable. All we as consumers can hope is that they learn from these mistakes and better plan for the following year. We’re going on a few years of shipping drama, though, so who knows when Google will completely overhaul what it is they’re doing. As of right now, there are many people who pre-ordered the new Pixel and don’t know where their device is, even though it was expected to be in their hands at this moment. To those people, I’m sorry you’re upset, but when ordering a phone from Google, things like this are almost expected at this point. Is that a cool way of doing business and earning people’s loyalty? Hell no, but what else can be done? You can cancel your pre-order and try ordering another like other people are doing or you can completely cancel your order and go for another phone. Believe me, there are a lot of nice phones on the market right now. You can also try being patient. I know that’s not what you want to hear, but I’m sure Google is doing its best to fulfill the order you placed. Here’s what Pixel 2 and Pixel 2 XL inventory levels are looking like at the time of this writing. The Pixel 2 is purchasable in Clearly White (64GB is sold out, 128GB shipping in 3-4 weeks) and Just Black (64GB shipping in 4-5 weeks, 128GB shipping in 3-4 weeks), but Kinda Blue is sold out. The Pixel 2 XL is purchasable in Just Black (64GB ships by Oct. 29, 128GB the same), but Black & White (aka Penguin), is sold out in both 64GB and 128GB models. 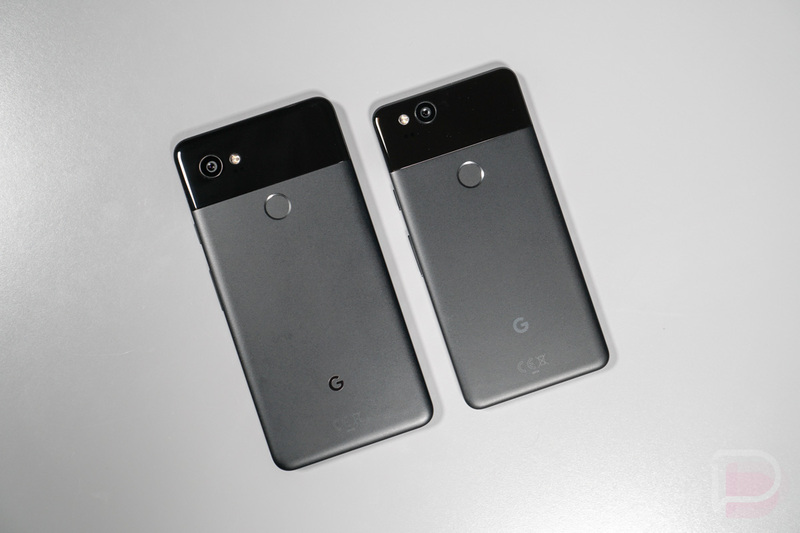 We recently asked when buyers of the Black & White Pixel 2 XL were expecting their phones to arrive, with many saying around mid to late November. Now, a message to Google. Please, fix this. Every year it seems like the same thing, and frankly, it’s beyond unacceptable. Apple sells millions of phones and doesn’t ever seem to have issues quite like this. All we ever hear from that camp is how shipping dates are pushed back for those who ordered the phone late – none of this, “Cancel your pre-order and then re-order, it’ll come faster.” What is that nonsense? A little bit of transparency and communication could go a long way, too. I want to hear from you, Pixel 2 and Pixel 2 XL buyers. How are your orders looking right now? When did you order and when is it expected to arrive? Have you already spoken to Google support about where your phone is? I want to hear about that, too.